New Mexico departments of Environment, Health, and Game & Fish made the long-awaited announcement Saturday night to lift the bans on the Animas and San Juan rivers’ drinking water systems that were closed after toxic wastewater from an abandoned gold mine was accidentally released into the water on Aug. 5. 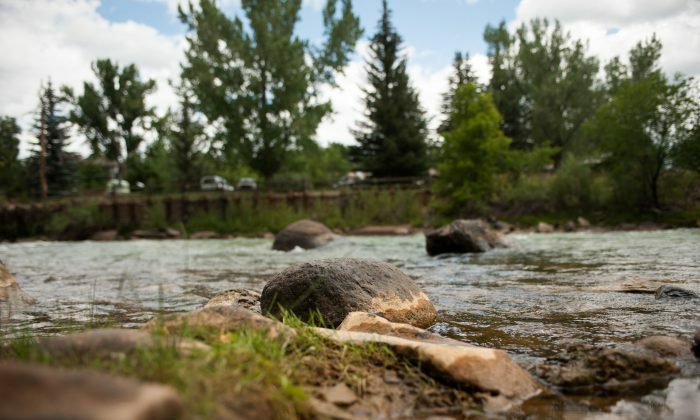 In a press release on Aug. 15, New Mexico Environment Department Secretary Ryan Flynn, stated, “The waters of the Animas and San Juan rivers are now meeting all applicable water quality standards.” The ban on the public’s use of the rivers for recreational use was concurrently lifted. But precautions remain as New Mexico officials continue to assess the long-term effects of the accident. Both rivers were closed in New Mexico following the spill that occurred when a cleanup crew hired by the EPA accidentally unearthed a plug at the top of the King Gold Mine in Colorado, releasing 3 million gallons of toxic waste into a creek that fed the Animas River. The mustard colored plume washed into New Mexico’s San Juan River, which is a primary water source for the Navajo Nation. The toxic waste, which had heavy metals such as copper, cadmium, arsenic, lead, and aluminum, eventually reached Utah’s Lake Powell—a huge reservoir 300 miles downstream that feeds the Colorado River and supplies water to the Southwest. Local, state, and Navajo Nation officials conducted independent and collaborative testing of water levels over the course of the past week and issued states of emergency. Federal officials also participated in the testing. According to the release, data from continued water sampling and analysis conducted by state officials since Aug. 7 now show that all water contamination levels are within acceptable standards established to protect human health. “EPA crews pumped water into the river to dilute the high levels of mercury, arsenic, and lead,” reports New Mexico television station KOAT 7. The highest test results had shown waste containing 3,500 times the safety levels of lead. Despite river waters now returning to normal, riverbanks remain discolored and residents are cautioned to use “prudent health practices” during recreational activities. Residents were warned by the Agency for Toxic Substances and Disease Registry (ATSDR) that the sediment still staining the river banks may be toxic so cautioned the public to refrain from drinking untreated water from the rivers. Officials also advised that contact with tainted surface water should be followed by a thorough soap and water wash.
Department of Health Cabinet Secretary Retta Ward urged the public to wear suitable clothing and use safety gear, according to the release. She also recommended taking extra care not to ingest the untreated water. “When you consume untreated water from surface sources, you run the risk of ingesting harmful bacteria, parasites, viruses, and other potential contaminants,” she said. Eating fish from the affected waters is still off limits until further notice while officials continue to test contamination levels. Alexa Sandoval, director of New Mexico’s Game and Fish Department said, “The Department suggests that anglers practice catch and release of fish in the Animas and San Juan rivers that have been impacted by the spill,” according to the release. The Department of Game and Fish is working to determine the level of contamination in fish and the public will be notified of the test results, said Sandoval. Long-term monitoring for fish contamination will be required since storm run-off can still wash toxic sediment into the riverbed, said EPA administrator Shaun McGrath, according to a USA Today report. The EPA is bracing itself for a barrage of potential lawsuits resulting from its bungled release of more than 3 million gallons of toxic wastewater.